Are we maybe finally turning the corner? A consumer pays with a credit card at a store in Montreal on Tuesday, July 6, 2010. The ratio of Canadian household debt relative to income edged down slightly in the fourth quarter of last year, raising speculation that the growth in debt may have turned a corner. 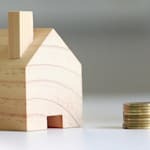 OTTAWA — The ratio of Canadian household debt relative to income edged down slightly in the fourth quarter of last year, raising speculation that the growth in debt may have turned a corner. Statistics Canada said Thursday household credit market debt as a proportion of household disposable income was 170.4 per cent in the fourth quarter. In other words, there was $1.70 in credit market debt for every dollar of household disposable income. That compared with 170.5 per cent in the previous quarter, which was revised down from an earlier reading of 171.1 per cent. "While it's too early to tell, we just might have seen the peak in the debt ratio in Q3, as Q1 will no doubt see a sizable decline due to seasonality," said Benjamin Reitzes, Canadian rates and macro strategist at the Bank of Montreal. The central bank, which has raised its benchmark interest three times since last summer, has said it is carefully monitoring the economy's sensitivity to higher interest rates. Statistics Canada reported the key ratio crept lower as total household credit market debt, which includes consumer credit, mortgage and non-mortgage loans, increased 1.1 per cent in the fourth quarter to $2.13 trillion. Mortgage debt totalled $1.397 trillion, while consumer credit rose to $630.4 billion. Royal Bank economist Josh Nye said it looks like debt growth is turning a corner. "With interest rates expected to rise further and housing regulations tightening at the federal and provincial level, the peak in debt growth could very well be behind us," Nye wrote in a report. "That should be viewed as a positive development by the Bank of Canada, though progress on reducing the 'key vulnerability' of elevated household debt will likely be very slow." The drop in the key debt ratio came as the net worth of the household sector increased 2.1 per cent in the fourth quarter to nearly $10.9 trillion. Statistics Canada said financial assets were the main contributor, growing by $196.6 billion to nearly $6.9 trillion, led by equity and investment funds. The value of household residential real estate increased by 0.6 per cent in the fourth quarter, after remaining flat in the previous two quarters.